Five hundred smackeroos doesn't buy you much in a car. You are lucky to get something that isn't labeled "mechanic's special" or the seller is only listing the price of a door instead of the entire car (like this Aztek...seriously, the seller thinks the entire car is somehow worth more than $250?). 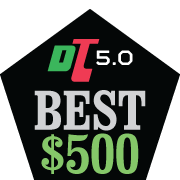 Anyway, as part of DT's 5th birthday celebration, we are going to find you the best $500 cars for sale around the web. This post is part of DT's 5th Birthday Celebration. First up is this 1998 Mercedes-Benz SLK230 Kompressor offered in "fair" condition for $500 in Gilroy, CA via craigslist. The first think you are going to say is -- wow, that was a big impact...what kind of shenanigans were going on before...oh. Right. That is some serious hardware sitting across the shifter, C-class or D-class at least. Anyway...this isn't the car for me. Nope. Next up is this 1991 Audi 100 sedan offered for $500 in Smyrna, GA here on eBay with 1 day to go. 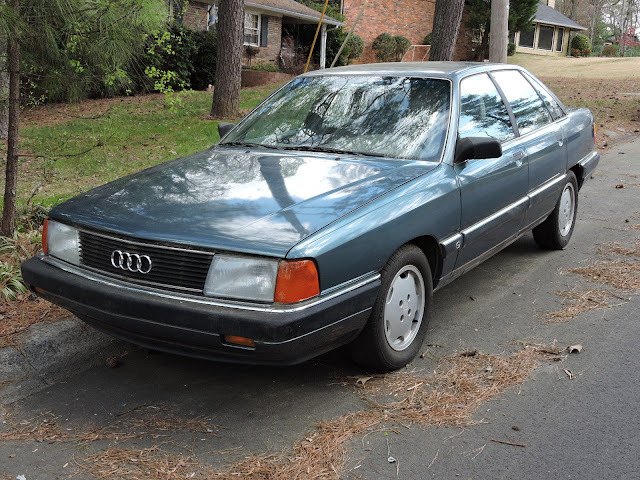 The 4 ringed classic isn't able to go much faster than 45 miles per hour according to the seller, so this would be a fixer-upper or a city car. 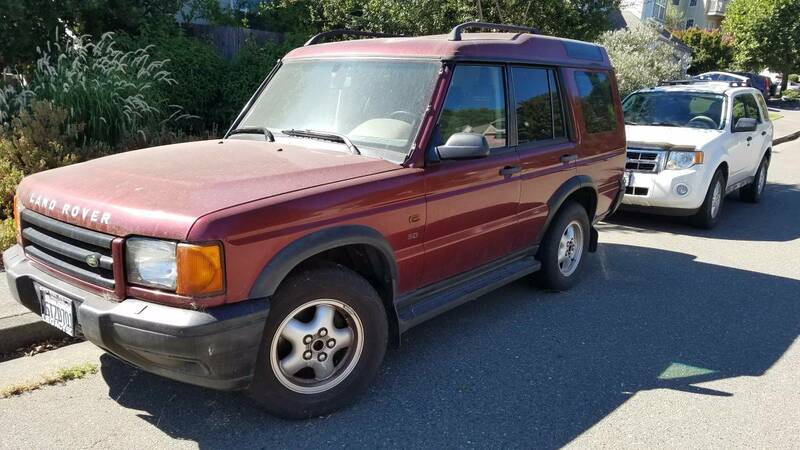 Next up on the competitor for the best car for $500 is this 2000 Land Rover Discovery offered for $500 in SF Bay Area, CA via craigslist. The seller admits that the car doesn't run due to an overheating issue, but how expensive is it to rebuild a Rover V8 anyway? The last car I'm going to feature from this best of $500 is this 1963 Mercedes-Benz 190 offered for $300 in San Jose, CA via craigslist. The seller says it doesn't run, but these old beasts are simple and easy to fix -- it probably would fire right up with some fresh gas and an oil change. 1999 Honda Accord - $500 - "Excellent Condition"
This is the latest scam thing.....cheap reliable Japanese sedans at "who cares" prices. My local CL is rife with them. Hmmm, not that I frequent CL a ton, but never seen these kind of ads before. Definitely seems TGTBT. Free if you buy the tires! Oh, are we still doing scissor doors? This has at least one? Hardware? That's 'software,' and looks like the winter version too. Best I can do - the pickins are slim - title optional, right? It appears both air bags were deployed. I count more than two airbags deployed. Anyway , on the wall next to the cash register there was a sign stating that the state of California would pay $1500 for any car that you could drive to a designated crusher. So, that would seem to make you wonder about why anyone would sell a car for less than $1500 in California. 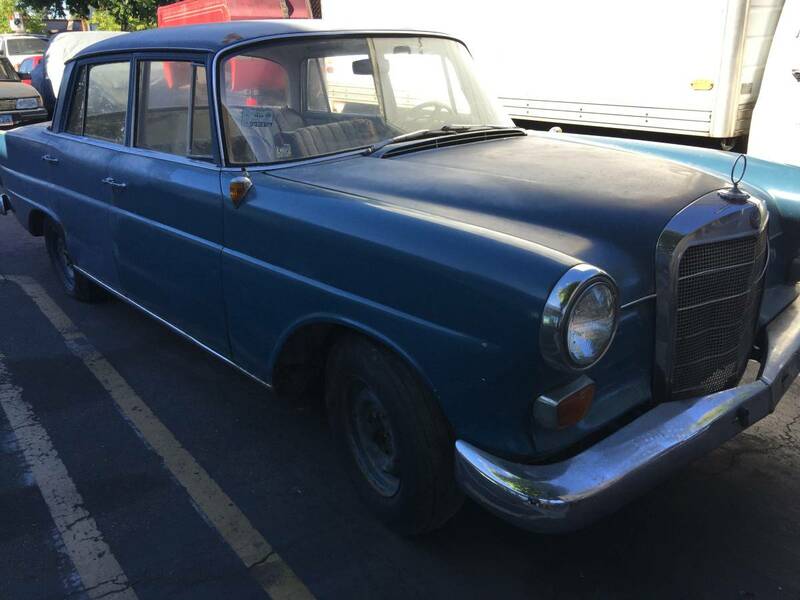 I might sell a 1963 Mercedes for less "to a good home" because I'm a sentimental idiot, but $500 honda civics wtf? *what's that really mean anyway, and why does everyone say it? ** you read footnotes? Really?